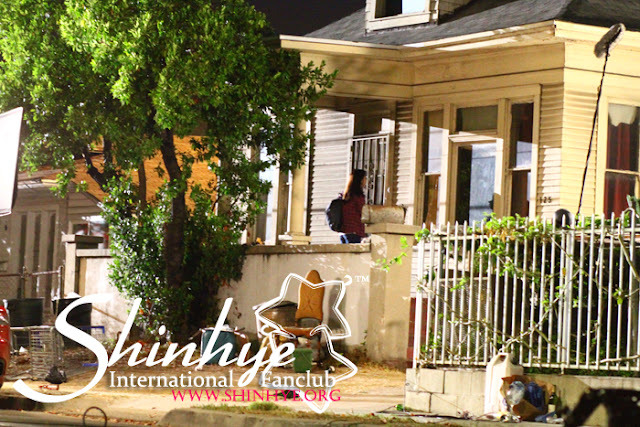 Park Shin Hye International Fanclub | 박신혜 국제 팬클럽: [FANACCOUNT] PSHIFC Visits Park Shin Hye on the set of "The Inheritors"
[FANACCOUNT] PSHIFC Visits Park Shin Hye on the set of "The Inheritors"
Today we've visited Park Shin Hye on the set of her new drama, "The Inheritors." It was quite an eventful day since we weren't quite sure we would be able to see her. We thank our lucky star that we were. 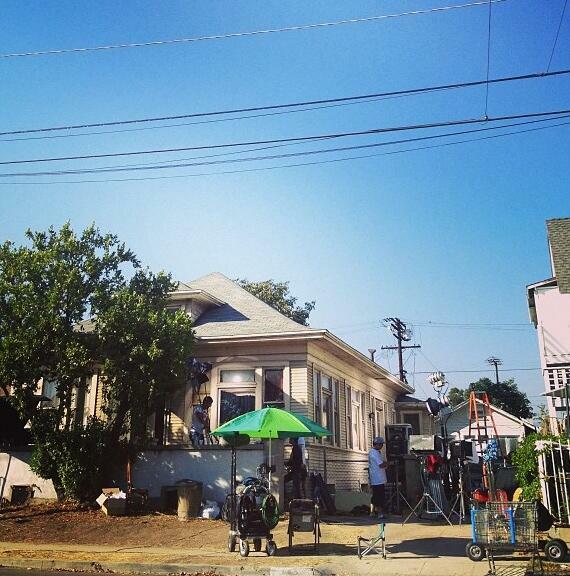 We drove an hour and fifteen or so minutes to where they were filming in a part of LA that was across town from us. Thank goodness we've skipped the freeway and took the smaller roads even though it takes longer because traffic was going at a snail's pace! 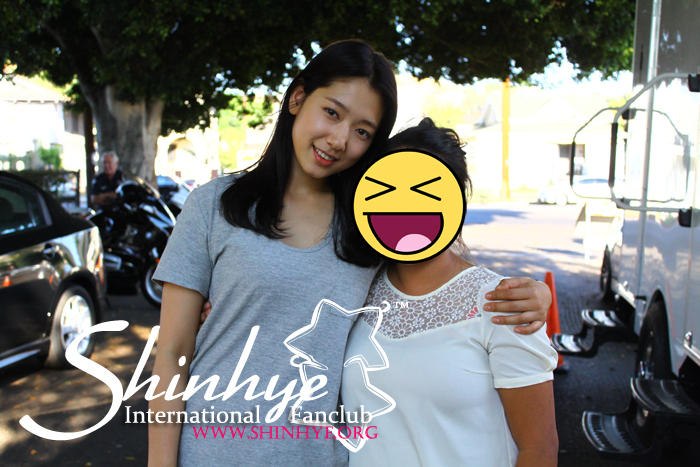 We drove through all of Los Angeles to get to Shin Hye. We saw all of LA in a day, we've joked. Which was pretty true considering the route our GPS was giving us. So we've made it to the set. They've blocked off a section of the street to film with police guarding the entrance to stay out fans and unwelcomed guests. We've waited and we saw Shin Hye! Turns out we were right in front of her trailer (she and Lee Min Ho share one for make-up and such). I haven't seen her in a year and let me tell you, she is as beautiful as always if not better!! Although she has lost weight dramatically for the film, she was still so pretty. No matter how many times we've met her, we were stil starstuck by her. She's just too beautiful! And oh so nice. We can't stop saying this because it's so very true! She is so kind. The way she talks to her fans and spend time to talk to them, you won't be able to see that with many other idols. We completely ADORE this beautiful lady. So we've talked to her about no nonsenses and whatever comes to mind. Love her so much. Then we gave her the presents we bought her thanks to the donation from our members and some we got out of our own pockets. 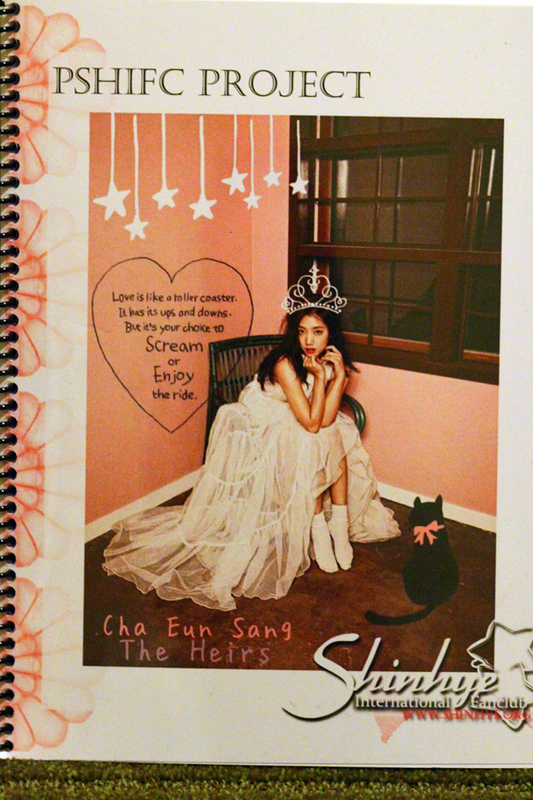 When Shin Hye saw the book she said by the time she gets done with it, she will be so good at English! We said yes you will. 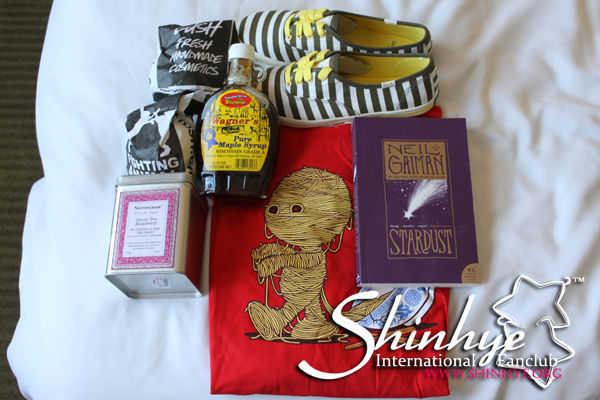 Shin Hye tried on our striped Keds, and she looked so cute with them on. Some of the crew members were there and everyone was saying how cute the Keds were on her. They were so cute!! She loved them. She was so happy to receive all the gifts from us. She gave a bag of chocolates for the crew. Everyone was very happy, so thank you to those who donated and helped made this possible!!! After receiving the gifts, Shin Hye had to go do her makeup because it was time to film. She was flawless. We couldn't stop adoring her amazingly flawless skin!! And so we waited and asked her manager if we can watch her film. He said ok but only if the production team would let us. And so we stood from a distance and watched Shin Hye worked her magic on the screen. Without giving too much of the scene away, it was one of Shin Hye's Eun Sang and Min Ho's Kim Tan in the red Maserati coming from somewhere. They seemed upset with each other with Kim Tan driving off and storming back later. Shin Hye was wearing some jeggings and grey high top chucks with a grey shirt under some purple plaid shirt. Her hair was long and black and so beautiful! Min Ho was wearing some orange pants, and a blue cardigan. He was quite handsome. And he smiled at us which was really nice of him. We watched as they filmed this scene for the rest of the night. It was just so amazing to be there watching Shin Hye film. It's something that you don't ever forget. So it was late and they were filming so we can go back to our hotel. It was such a fun day and worth every second of everything we had to give up. Shin Hye is always worth every second of our time. Oh when we were talking to her, we told her that all her fans were anticipating this drama and were so happy to have her in it. She was really pleased and said she can't wait to see this drama either! 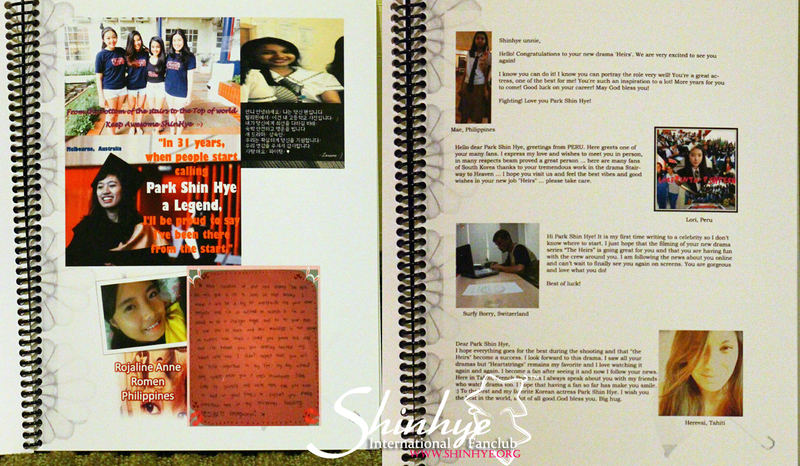 Again, we wish to thank everyone who had donated to help out with this project, and all the fans who sent us messages. A special thanks to @Ployzsuay for the cover-art for the book. DON'T FORGET!! You can still donate to help us buy rice bags for the Rice Wreath project we are collaborating with Shin Hye's Official Korean FC to show our support for Shin Hye during the press conference for "The Inheritors." All rice bags will be donated to KFHI. thanks a lot for the fan account. i am so jealous of those who got to meet shin hye in LA. she is really beautiful inside and out. can't wait to watch this drama. i'm sure it's gonna be daebakkkkk!!! fighting unnie!!! Thank you PSHIFC for this fan account. 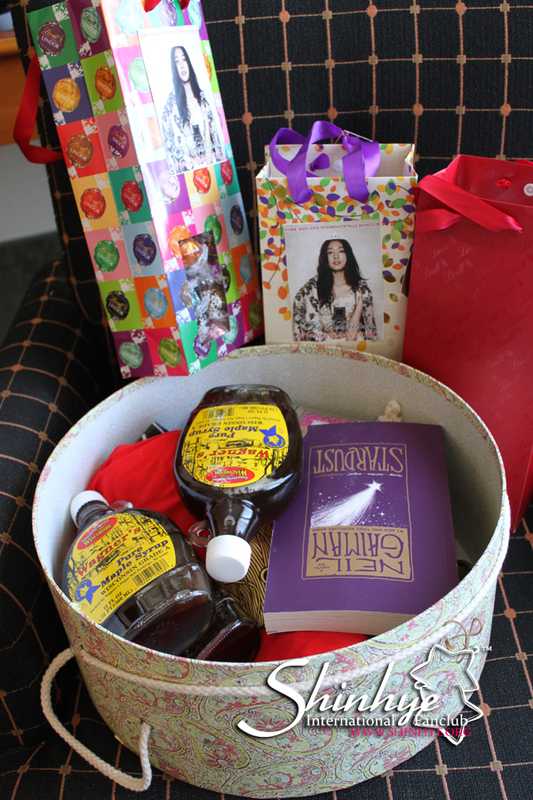 Would I have been in Canada still, I would have driven all the way to LA just to see her. What a shame! Anyway, still hoping to meet her one day and can't wait to finally watch the first episode coming out on October the 9th. Mimin.... thank you so much 4 sharing,and so lucky you visit her on set.Read your blog,seem she is very happy and enjoy during filming.Please come back to Korea with stay healthy.so enjoy your happiness vacation. So amazing that PSHIFC got to meet her. I also saw her yesterday but not as close up. yes she is so wonderful like that. I'm glad you got to too. she's so gorgeous. Thank you very much PSHIFC. I love you! I love Shinhye! I love all of you! I am collecting all the locations in the heirs, so I really wanna know the exact location of this house too.I've looked for it by Google Map for a long time but still cannot find it. Would somebody please tell me? Hi! I know I'm late to react! Just wanna ask if her eyes are really that beautiful and hrr face is smaller in person? A lot of people said that she's beautiful in person! Wish to see her someday! Her eyes are really beautiful and she's a really beautiful person when you see her face to face. Her personality really shines through.